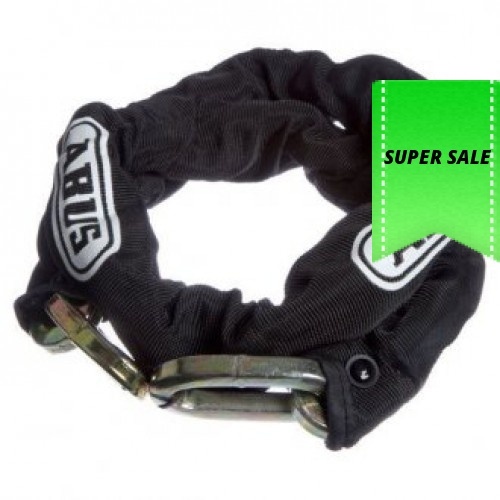 Extended last link for convenient padlocking. 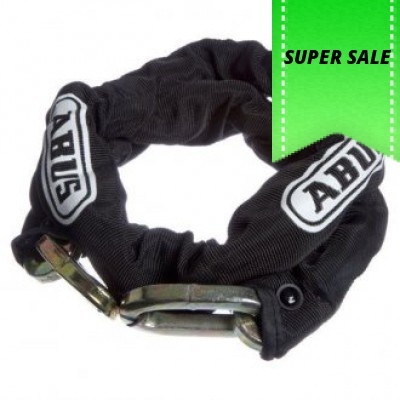 Includes ABUS black webbed sleeve. 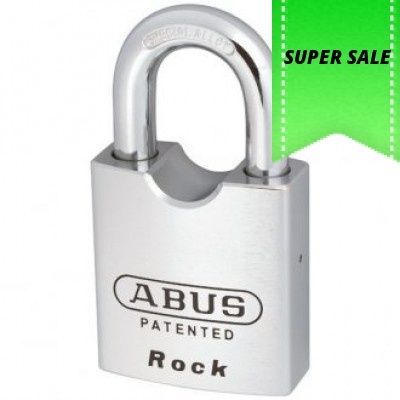 ABUS 83/50 series padlock 50 mm heavy duty nickel plated brass lock body. 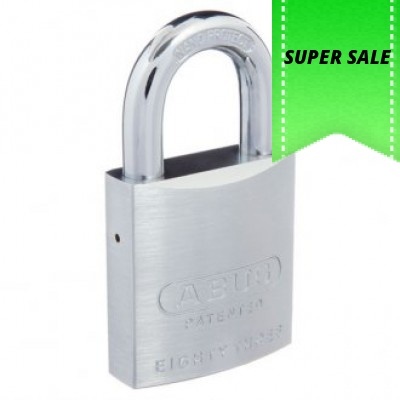 Double ball lockin..